The following US audio accessories as well as others can be used with this coiled cable. H-161/C, H-161/D, H-161/E Headsets and MK-1039/G Headset / Microphone. 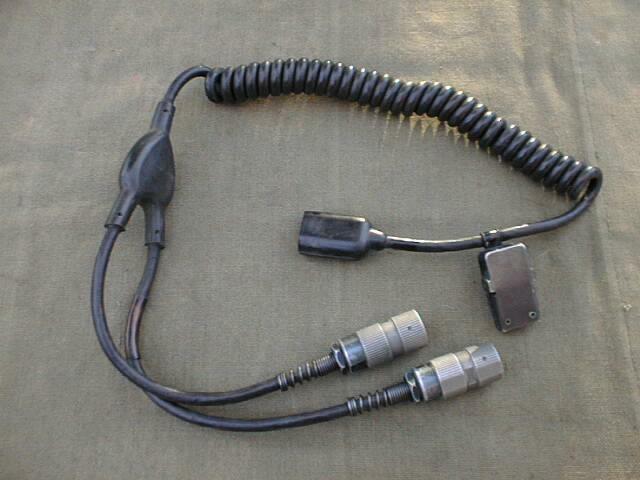 Each wire ends with a U-229/U Connector to plug into the radio or VIC-1 equipment. The headset end is terminated with moulded quick release bail-out type connector.